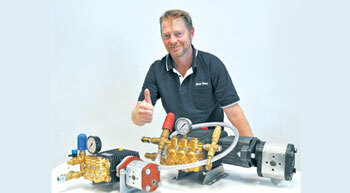 A new, cost efficient 6”(150 mm) self-priming pump, capable of moving huge quantities of dirty water, has been released by Australian Pump Industries. 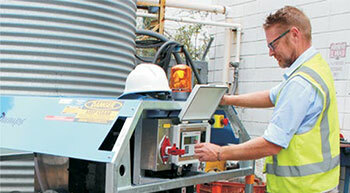 It is a 'Long Ranger' version of Aussie's Quik Prime model QP602 that runs for extended periods. 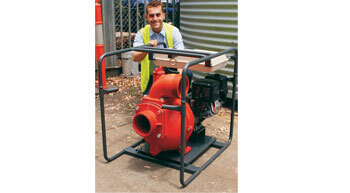 Australian Pump has announced an expansion in their Aussie Mine Spec Extreme series. The range of continuous duty hydro-blasters now includes the big Aussie 4,300 psi Python with a huge 31 lpm that delivers real cleaning whack. Australian Pump Industries has had to lift production of their 4,000 psi A-Class pressure cleaners to meet the increased demand of contractors, councils and tradies. 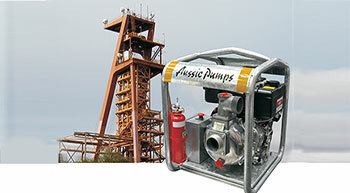 Australian Pump Industries announce the launch of a new twin impeller, high pressure portable fire pump for the mining industry. Based on the Aussie’s Mr T portable fire fighting pump, the new version has been upgraded to include additional safety features. Australian Pump Industries´ range of heavy-duty hydraulic drive high-pressure cleaners with pressures up to 500 bar (7,300 psi), have played a vital role in the drilling industry.